to help build a broad-based community of support throughout the Pioneer Valley, and even beyond. Topics/Themes: brief essays on co-op governance, dealing with interpersonal conflict, hiring and firing, etc. VAWC started in the fall of 2005 with the goal of organizing worker-owner cooperatives in the Pioneer Valley of western Massachusetts and southern Vermont. Our first goal was to expand our informal support network into a strong network of face-to-face relationships. Members of three worker cooperatives called a meeting which ten people attended: representatives from several worker and consumer cooperatives as well as some educators. We drafted the basic elements of our vision in that meeting, and formed VAWC shortly afterwards. Now, four years later, about fifteen individuals participate in our monthly meetings, all the individual members of the various co-operatives understand the basics of VAWC, a book project is underway, and we have one part-time staff person. The representatives from the member cooperatives serve as VAWC's steering committee. Active participants also include representatives from a local research group, cooperative developers, educators, student-run and volunteer collectives as well as interested individuals. the general public in the Valley. 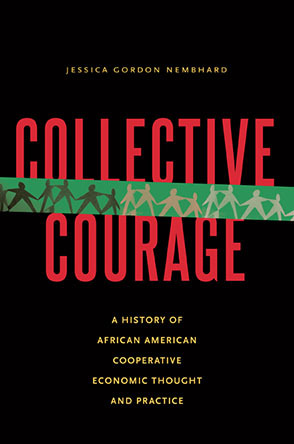 In addition, the book may help us gain awareness and support from the national and international worker cooperative movements as well as help recruit new cooperators to the movement. democratic governance of worker co-ops. A CO-OP VALLEY! subcommittee of VAWC is collectively writing and editing the book, and Collective Copies will publish it. Two worker-owners from Collective Copies and three members of CERG serve on that team pr bono. The illustrator member of our writing team will leaven the book with humorous illustrations; stories of personal transformation from the interviews will give it an inspirational feel. people who are socially, economically, and environmentally active in the area about their activities and how they think VAWC could play a dynamic role in the Valley. Recently we secured $2,500 to help cover the special expenses associated with conducting and transcribing interviews that provide much of the raw material for the book. Also, we have raised almost $1,000 in informal advance sales. We are looking to raise another $11,000. We invite you to share in the project by making an advance purchase. If you are interested in supporting the project, use the form in the sidebar. The interviews in and of themselves are vital to building a community of support as they generate awareness and interest of what VAWC is doing and how it is evolving. We will archive all of the interviews and transcripts in the online library of the US Federation of Worker Cooperatives, and possibly at one or more of the universities in the area. Up until a year ago our activities focused on educational outreach, support of our member cooperatives, and mentoring of new ones. Our educational work has included presentations at local high schools, colleges, and universities. Several community organizations in the Valley have also invited us to their cities to present the worker cooperative model. We expect to produce a three-to-five year plan for VAWC's development out of the book and staff position projects. The work that is going into the writing of the book is already providing resources for that process. Creating a community of interest and support will also contribute to the making of such a plan. create a part-time staff position to advance the above goals.